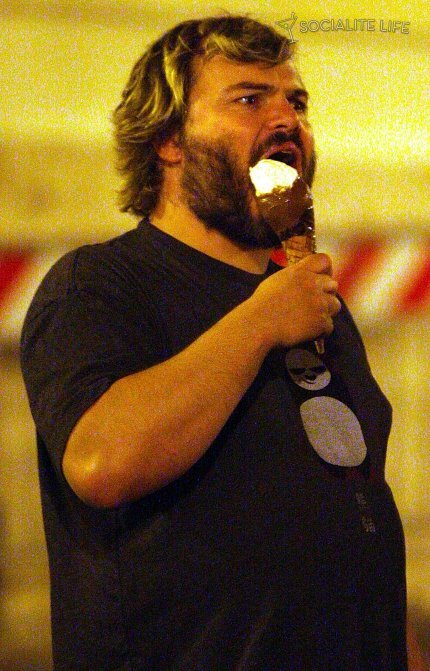 Jack Black is POUNDING a Choco-Dip Cone! He’s not just standing around holding his ice cream, like some people we could name – Nicely Pounded, Mr. Black! A little to your left and you'll be golden, JB!